Suggest your idea and help us in improving our website. Any help or suggestion will be appreciated. You can mail us by going to this Contact US page. It's been a long time since I posted on my blog. Now a days, torrent sites are used a lot to download movies, videos, software, games, e-books and many more. To download files from torrent sites, one of the best tool is µTorrent. µTorrent allows you to download files from torrent sites. You can download µTorrent from their official site. µTorrent is being offered in different different editions i.e. Pro+Vpn, Pro, Ad-Free and Basic. You can compare these editions here. I always use good antivirus program and maintain my laptop very well. I never got any virus in laptop at all. But once my friend needed some movies and games so I gave him my USB. After two days, he gave it back to me. I inserted my USB in my laptop. And guess what I found??? I found so many shortcuts in my USB and I can't able to access any of data which I gave to my friend. I tried to scan it from different different antivirus programs and also used Windows Defender but that wasn't enough to remove that shortcut virus. Then I searched a lot on internet and then find a solution to remove it and that's what I am sharing with you today. There are many viruses available but now a days these shortcut viruses are really embarrassing for all the users. Because these viruses are hardly detected by any antivirus. So it was become headache to remove them permanently. 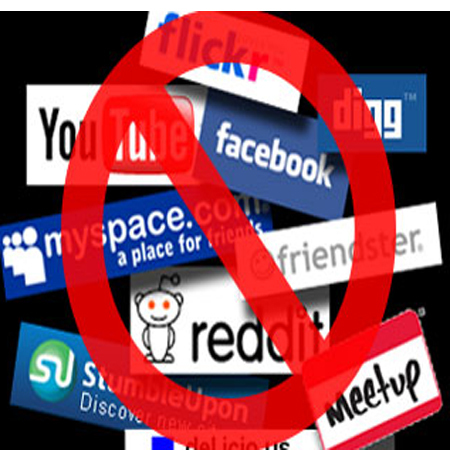 Follow this tutorial and it will definitely help you to get rid off these shortcut viruses. Almost everyone knows what is Command Prompt (CMD) and how to use it. I am sure many people have tried some common commands in CMD. There are many commands available that can allow you to execute without Administrator Privileges. But there are some commands those need Administrator Privilege in order to execute them. So it is necessary to run CMD as Administrator in that situation. Whenever you are operating with Command Prompt (CMD), you often get "Access is Denied" or some permission related errors. In that case, one of the cause of that error is you need to run CMD with Administrator Privileges. This tutorial may help you to run CMD with administrator privileges. Yesterday I explained how to access any blocked website on Google Chrome using Hola extension. Today, I'll explain you how to access any blocked website on Mozilla Firefox using Hola extension. You've to follow same procedure to use Hola extension to unblock any blocked website. The difference is the installation of Hola extension on Mozilla Firefox. But don't worry, I'm here to tell you everything in detail. To install Hola on Firefox, download the extension from the below given link and then follow the below given steps to unblock any blocked website in your area or blocked in school/college/company. Copyright 007winsolutions - 2014 - . All rights reserved.